The death occurred on Thursday, May 3 of Margaret ‘Cissie’ Dodd (nee Rogers), Dublin and formerly of Derrycassin, Dring, Longford/ Dublin. Predeceased by her husband Patrick. Margaret will be sadly missed and remembered with love by her family,daughter Sarah, sons Vincent, Patrick and Henry, daughter in law Eilish, grandchildren Ethan, Amy and Elva, great grandchild Isla,brother in law, nieces, nephews, relatives and friends. May she rest in peace. Reposing at Beaumont Hospital Mortuary on Monday, May 7 from 10.15am until 11am. Mass of the Resurrection on Tuesday, May 8 in St Colmcille’s Church Aughnacliffe, Co Longford at 11am, interment afterwards in the adjoining cemetery. The recent death has occurred on Friday, May 4 of Francis ‘Sonny’ Mulvey, Drumcroman, Drumshanbo, Leitrim, peacefully following a short illness in his 94th Year at Our Lady's Hospital, Manorhamilton. Surrounded by his loving family and in the wonderful care of staff at our Lady's Hospital. Predeceased by his beloved wife Mary. Deeply missed by his son Gerry, daughter-in-law Colette, grand-daughter Hazel, relatives, neighbours and large circle of friends. Rest In Peace. Reposing at his son Gerry's home on Saturday, May 5 and Sunday, May 6 from 4pm to 9pm. House private at all other times. Mass of Christian Burial at 12 noon on Monday, May 7 in St Patrick's Church Drumshanbo followed by interment in adjoining cemetery. Family flowers only, Donations if desired to Poor Clare Convent or North West Hospice. The death occurred on Wednesday, May 2 of Patrick ‘Pakie’ McPhilips, Drumnalaragh, and late of Ardlougher, Ballinagh, Cavan, peacefully at Esker Nursing Cavan. Deeply regretted by brother James, sister-in-law Jennie, also The Tierney, Galligan, McPhilips Families and life-time friend Oliver Brady, relatives, neighbours and friends. Funeral Mass on Saturday morning May 5 at 11.30am in St Joseph's Church, Drumkilly. Burial afterwards in St Felim's Cemetery, Ballinagh. May he Rest in Peace. The death occurred on Thursday, May 3 of Maura Moran, Willowfield Road, Ballinamore, Leitrim, in the exceptional care of the management and staff of Lough Erril Private Nursing Home, Mohill. Deeply regretted by her sister, Sr Elizabeth, sister-in-law, Kay, nieces, nephews, relatives, neighbours and friends.Rest in Peace. Reposing at Lough Erril Private Nursing Home on Saturday, May 5, from 4pm to 6pm with removal to St Patrick’s Church, Ballinamore arriving at 7pm. Funeral Mass on Sunday, May 6 at 11am with burial afterwards in Oughteragh Cemetery, Ballinamore. 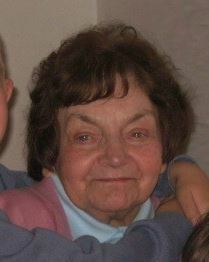 The death occurred, peacefully at her home on Friday, May 4 of Margaret Lynch (née Smyth), Margaret, Lake House, Moate, Co Westmeath and late of Roundwood, Co Wicklow. Predeceased by her husband Phelim (Phil), daughter Sharon, deeply regretted by her loving family Olive (Mountbellew), Angela (Newbridge), Thomas (Mullingar), Margaret (Moate), Philo (Boora) and Declan (Newtownforbes), sons-in-law, daughters-in-law, brothers-in-law, sister-in-law, grandchildren, great-grandson, nephews, nieces, relatives and friends.May Margaret Rest in Peace. Reposing at Flynn’s Funeral Home, Moate on Saturday, May 5 from 5pm until 7pm. Removal from her home on Sunday, May 6 to St Patrick’s Church, Moate arriving at 11.15am for Funeral Prayers. Funeral Mass at 11.30 am burial afterwards in Donegan Cemetery. House private on Sunday morning please.